General Mehmet Riza Bekin Pasha’s body is carried to its burial site by a military guard in Ankara, Feb. 18, 2010. ISTANBUL, Turkey—Gen. Mehmet Riza Bekin Pasha, an outspoken advocate for ethnic Uyghurs living under Chinese rule, died in the Turkish capital Ankara this week at the age of 85, after a six-month treatment for lung disease at the Gulhane Military Medical Academy here. Active in Uyghur politics and education, he also staged Uyghur-related human rights events in Turkey and founded the nonprofit East Turkestan National Freedom Center, which supported Uyghur students in Turkey and around the world. Rebiya Kadeer, president of the World Uyghur Congress, described him as a forceful leader. “I am so sad to lose my friend—one of strong alliance to our Uyghur cause. He is a history-maker who brought glory to the Uyghur people and who respectfully dedicated his whole life to their freedom,” Kadeer said. Former Chairman of the World Uyghur Congress Erkin Alptekin flew to Ankara from Germany to attend Pasha’s funeral. 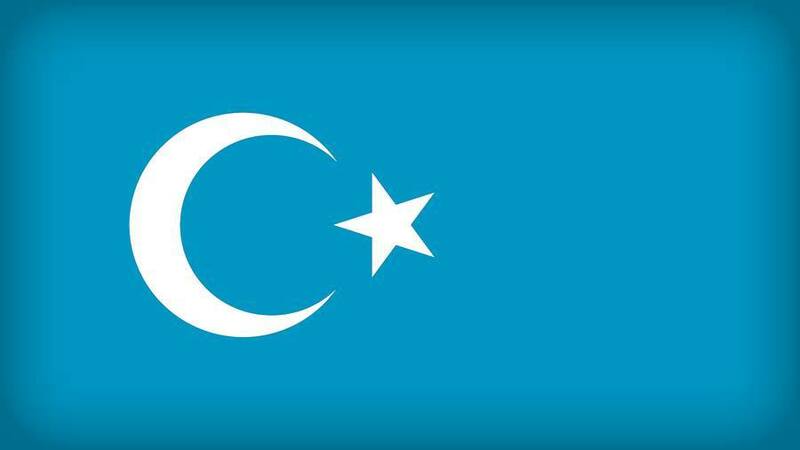 “He took on duties as head of the East Turkestan Foundation in Istanbul when Uyghurs were having a most difficult time and worked very hard to raise funds in support of the education of Uyghur youth,” Erkin Alptekin said. The general was buried with military honors at a funeral service in the afternoon of Feb. 18 at the Kocatepe Mosque in the Karshi Yaka district of Ankara. An estimated 1,500 people attended Pasha’s funeral, including members of the Turkish Parliament and the deputy military commander of the Turkish army. Mehmet Riza Bekin Pasha is survived by his wife and two children. Mehmet Riza Bekin Pasha speaks at a conference in Turkey, June 2008. Pasha was born in 1925 in the East Turkestan prefecture of Khotan, in what is now China’s northwestern Xinjiang Uyghur Autonomous Region (XUAR). At age nine, he moved with his family to Afghanistan and four years later was sent to study at the Maltepe Military High School in Turkey. He continued his studies at the Land Warfare School in Turkey in 1946 and joined the Turkish army upon his graduation in 1948 from artillery school. During the Korean War, Pasha led the First Turkish Brigade Field Artillery Battalion as a ranking lieutenant. Pasha served as assistant military attaché in Tehran, Iran, and in 1977 retired with the rank of brigadier-general. After retiring from the military, he announced that he had “done my duty as soldier for the Republic of Turkey” and would spend his remaining days contributing to the Uyghur community through humanitarian work. Pasha was elected president of the Istanbul-based Foundation for East Turkestan in 1986. From 1989-90, he served as a specialist for the Turkish prime minister in charge of a United Nations humanitarian aid program to Afghanistan and Pakistan. Pasha was also an organizer of the first East Turkestan Congress, in Istanbul in 1992, and founded the East Turkestan Cultural Solidarity Association in 1994. He also founded the East Turkestan National Freedom Center in 1998. He was also the first Uyghur general in the Turkic world to serve under NATO. Uyghurs, a distinct and mostly Muslim ethnic group indigenous to Xinjiang and scattered through Central Asia and Turkey, have long complained of religious, political, and cultural oppression under Chinese rule, and tensions have simmered there for years. Beijing blames Uyghur separatists for sporadic bombings and other violence in the Xinjiang region. But international rights groups have accused Beijing of using the U.S. “war on terror” as a pretext to crack down on nonviolent supporters of Uyghur independence. After deadly ethnic riots killed nearly 200 people in the regional capital of Urumqi last July, authorities announced a continuing security crackdown on supporters of independence for the Xinjiang Uyghur Autonomous Region and its Uyghur population. The ethnic violence began July 5 after police suppressed a peaceful demonstration of Uyghurs and left at least 197 mostly Han Chinese residents dead, according to official media. Exiled Uyghurs have accused Chinese police of firing on unarmed demonstrators who were calling for government action following attacks on Uyghur migrant workers at a factory in southern China. At least 26 people have since been sentenced to death in connection with the violence, which prompted a regionwide shutdown of Internet and international phone services, with at least 700 people detained by the authorities. Original reporting by Erkin Tarim and Maidinayi Bawudun for RFA’s Uyghur service. Uyghur service director: Dolkun Kamberi. Translated by Dolkun Kamberi. Written for the Web in English by Joshua Lipes.